Stadion Poljud is a multi-functional sports stadium located in Split, the second largest city of Croatia. 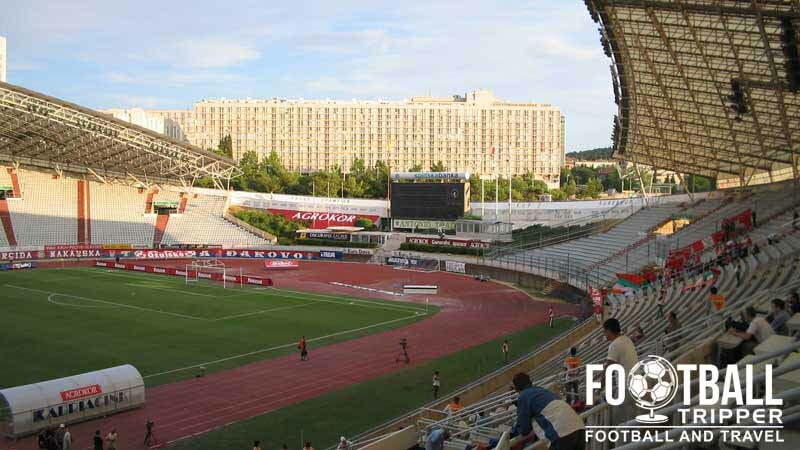 Named after the Polijud neighborhood in which it is located, the 34,183 capacity ground is fully known as Gradski stadion u Poljudu and was built for the 1979 Mediterranean Games. Originally opening as Gradski stadion u Poljud which translates as “City Stadium in Poljud”, Stadion Poljud was constructed for the 1979 Mediterranean Games back when the city of Split was part of Yugoslavia. Naturally built to be a multi-purpose sports venue, the stadium features an athletics track around the perimeter of the pitch which unfortunately reduces the intimacy of the venue somewhat. Known to locals as Poljudska ljepotica, The Poljud Beauty, the ground’s initial capacity upon opening was 55,000 but in the late 1980s increased to 62,000 after it was expanded in anticipation of the 1990 European Athletics Championships. 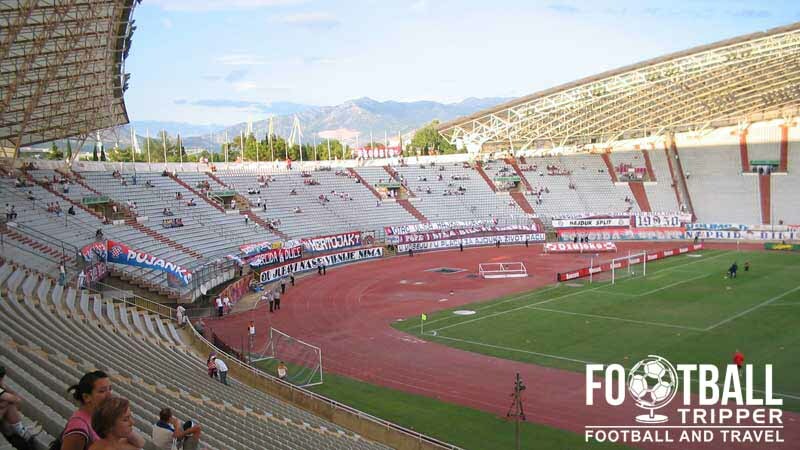 In the proceeding decades the size of Stadion Poljud has decreased to just under 35,000 as UEFA have introduced updated stadium safety legalisations. Designed by Croatian architect Boris Magaš, the stadium is said to have a seashell like structure, with the two main stands noted for their curvature and asymmetrical appearance. 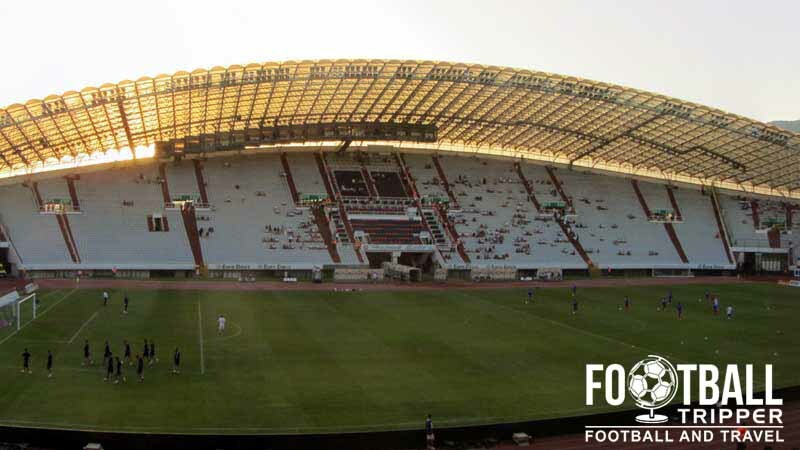 The ground has been home to Hajduk Split since 1979 who regularly qualify for European Football, with the Stadion Poljud hosting the group stages of the Champions League for the first and only time during the 1994-1995 season. That season Hajduk qualified from their group which contained Benfica, Steaua Bucharest and Anderlecht before being eliminated by eventual winners Ajax, in what marked the club’s best ever UEFA performance. 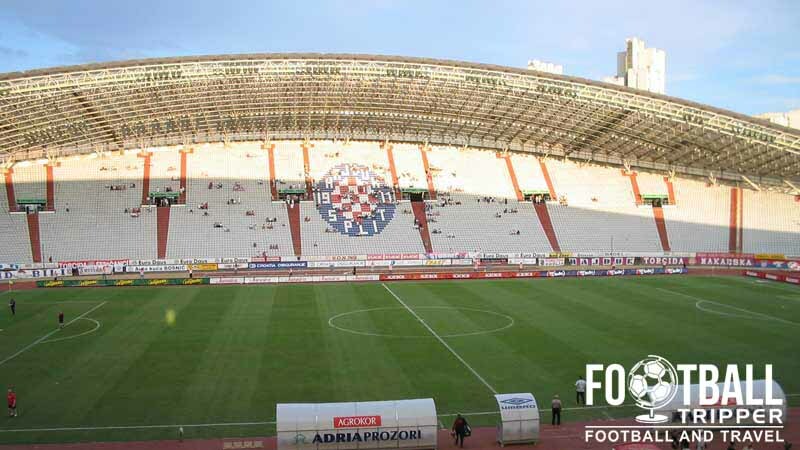 With Stadion Poljud firmly establishing its European Pedigree over the years, the ground now regularly hosts matches of the Croatian National Team, often competing with Dinamo Zagreb’s stadium for the honour. Stadion Poljud is comprised of four stands: North, East, South and West.